Housed in a 17th-century mansion, this small charming hotel welcomes us in a hall with Catalan vaulted ceilings, typical of the time. The rooms of this hotel are named after various aromatic plants, each is differently decorated, in neutral tones, cozy and comfortable. On the ground floor is the spa area with an impressive skylight, which illuminates the idyllic relaxation zone with its stone floors and columns with natural light. Equipped with heated pool, jacuzzi and massage area. Breakfast is served and there is a dining area. 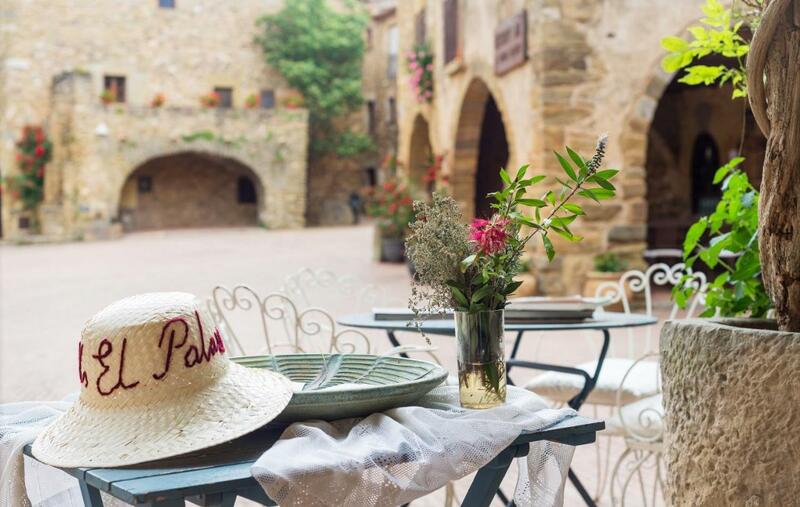 The hotel is located in the beautiful medieval village of Monells, very close to the beautiful beaches of the Costa Brava and several golf courses.